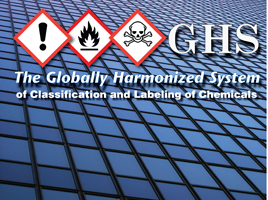 Globally Harmonized System of Classification and Labeling of Chemicals is abbreviated as GHS. This is a worldwide criteria for guidance in classifying hazardous chemicals. The objective of GHS is to present consistent information with intent of improving protection of chemicals to public health, environments, and employees exposed to hazardous chemicals. Labels and safety data sheets (SDS) are a major part of GHS. There are six elements a GHS label contains. A signal word, hazard pictogram, manufacturer information, precautionary statements, product name or identifiers, and hazard statements. 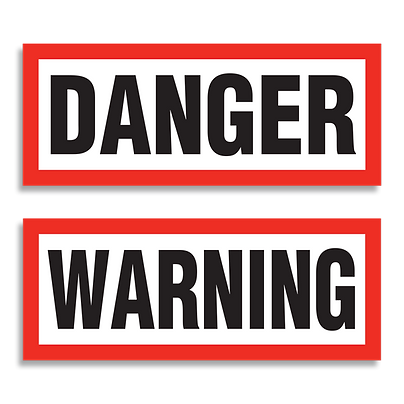 A signal word specifies hazardous levels with words such as “danger” or “warning.” Hazard pictograms are used on labels to alert users of chemical products to the dangers they can be exposed to if not handled properly. A pictogram has a symbol, white background, and red frame to specify which type of hazard relates to the product. The manufacturer information identifies the company name, phone number, and address. Precautionary statements defines how to respond to specific hazards, storage, or disposing chemical waste cautiously. Product name or identifiers displays the chemical name. Hazard statements describe the level of the hazard along with the nature of it. Hazard statements are found on the chemical’s Safety Data Sheet. Safety data sheets provide information in a controlled chemical management workplace about a substance or mixture. It includes information on the properties of each chemical, protective measures, physical health, handling, transporting, and storing. To have GHS applied with chemical usage provides benefits for companies, employees, and the public. With labels and safety data sheets (SDS) associated with GHS, it helps reduce costs for companies by less incidents and illnesses. Health and safety training is able to expand in knowledge of hazardous chemicals, improving alertness for employees. Employees can take the knowledge home to their friends and family helping spread GHS safety and awareness.